Since 1995, Guy and Betty Irvin have coordinated a number of trips to Scotland and Ireland to bring members and interested parties of the Clan Irwin to sites of historic importance. These trips have successfully grown over time, and this site is meant to show some of the highlights of past tours, as well as convey a sense of what these trips are like to those who have not yet gone. The tours are generally annual, and by selecting one of the years on the Tours page, you can go along and view the sites in the same order that the group did. Also, you can shortcut to a particular place by clicking on the link associated with that location. Be sure to visit the Official Clan Irwin site for much more information! 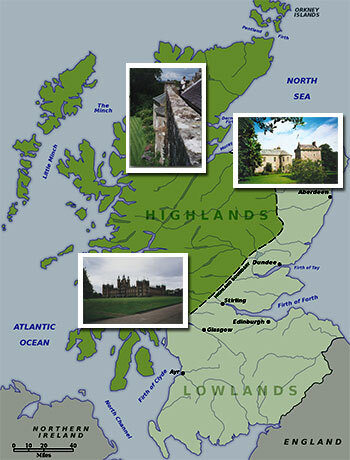 Where in the World is Scotland?